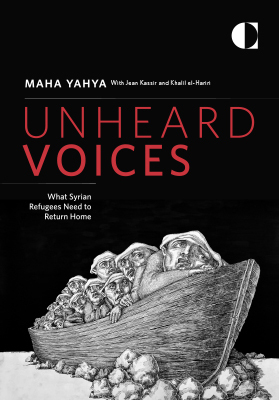 As the living conditions for Syrian refugees worsen and the risks of going home mount, the notion of a voluntary return is rapidly losing meaning. As the Syrian regime regains territory, there have been growing calls in neighboring countries for refugees to go home. Yet refugees have conditions for a return—conditions that political efforts to resolve the Syrian conflict have largely ignored. To understand refugee attitudes toward return, the Carnegie Middle East Center listened to the concerns of Syrians—both male and female, young and old—struggling to build meaningful lives in Lebanon and Jordan. What is most striking is that despite the increasingly difficult challenges they face, a majority are unwilling to go back unless a political transition can assure their safety and security, access to justice, and right of return to areas of origin. Economic opportunity and adequate housing are important but not requirements. Above all, their attitudes make it clear that both a sustainable political settlement and a mass, voluntary return are contingent upon international peace processes that account for refugee voices. Facing mounting social and economic difficulties, refugees feel trapped between host countries that do not want them and a Syria to which they cannot return. Refugees are pessimistic about the prospects for a Syrian peace deal. They reject any proposals that could lead to Syria’s fragmentation, oppose the idea of deescalation zones, and have no confidence in safe zones. The refugees’ primary conditions for return are safety and security. But they do not believe they are achievable without a political transition and have little faith that the Syria to which they aspire will soon be attainable. They have no confidence in the political actors involved in Syria, and most anti-regime refugees do not believe the opposition truly represents them. Women and young men are among those most fearful of returning to Syria. They are concerned about the lack of security and possible persecution under President Bashar al-Assad’s regime. Many young men fear conscription. As the war drags on and conditions in their host countries worsen, an increasing number of refugees are considering resettling outside the region, particularly in Europe. However, they fear that once they leave the region, they may not be able to return. Essentially, the notion of a voluntary return of refugees is losing meaning. Restrictive policies in Lebanon and Jordan may force refugees to return to an unsafe environment in Syria; while the regime’s policies in Syria—on housing and property rights, military conscription, and vetting procedures—may make it difficult, if not undesirable, for them to return. A safe and sustainable return of refugees requires a framework that acknowledges the political roots of the Syrian crisis rather than just its humanitarian dimension; concedes that peace is not possible without justice; and recognizes the right of refugees to return to their areas of origin. Safety and security can only be guaranteed through a political process that creates inclusive governance mechanisms; ends criminal impunity; and facilitates reintegration, demilitarization, and access to justice. While this process will take time given the many forces operating in Syria, efforts to prepare refugees for a return should begin now. These could include creating a cadre of Syrian lawyers and paralegals to inform refugees of their rights and help resolve the many anticipated local disputes. They could also include establishing a network of trusted community mediators. Reconstruction funding should not inadvertently empower the Syrian regime. Starting on a small scale in regions that are not under regime control could provide a better alternative for local rebuilding efforts. Any funding should also be conditional on the return of refugees to their homes and access to their property. A vetting process should be established to ensure that local entities receiving international funding have not been involved in war crimes and are not regime fronts. Meanwhile, the refugees’ right to a voluntary return must be respected. To encourage host countries to adopt policies that secure the basic needs of refugees, international support must include both humanitarian aid and economic investments geared toward job creation for host country nationals and refugees.